The Halo switch was designed by Jacob Alexander to be an improvement on the Cherry MX style slider. The true innovation invented with the Halo is the recreation of an entirely smooth curve, combined with a lack of pre-load or tension on the spring at rest. With normal switches, there is a small amount of friction present when you first press down. With the Halo, this is largely absent and you are able to enjoy a smooth press from beginning to end. 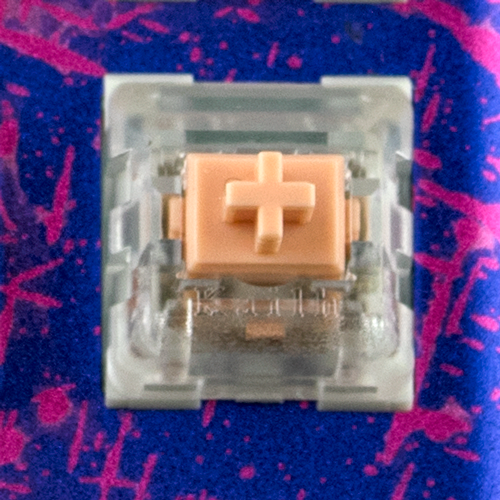 The force curve of the Halo switch was modeled after the curve found in Topre keyboards, but reproduced with a fully mechanical switch.